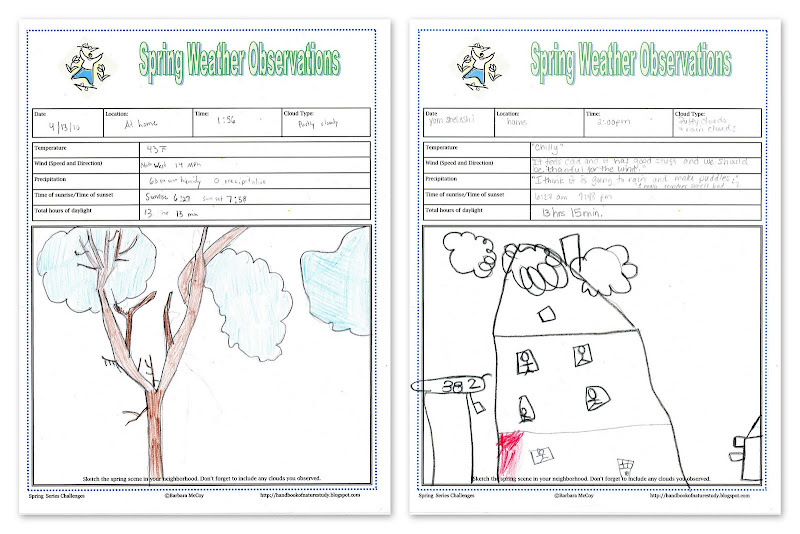 We completed Spring Series #2: Spring Weather Observations today. We headed outside to make our observations this afternoon and then came in to discuss what we remember about weather ~ specifically clouds and cloud names. My boys decided that we have cumulonimbus clouds. We had blue skies dotted with fluffy white clouds in the West . . .
. . . .and rain clouds in the East. Precipitation: None, but it looks like rain! 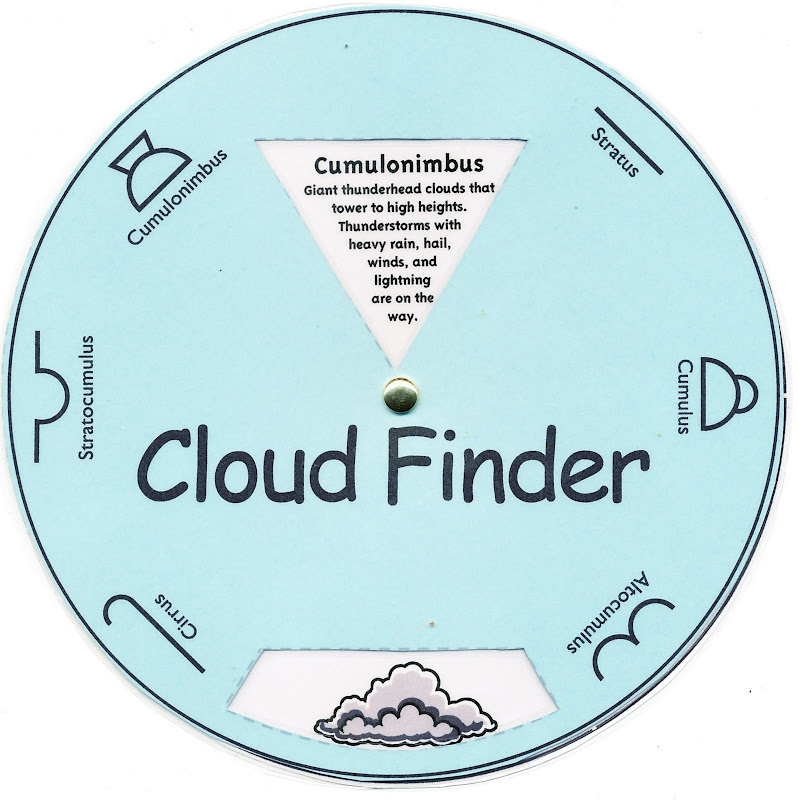 Cloud Type: "Puffy clouds and rain clouds"
Also, I made a Cloud Finder to help with cloud discovery. Today was one of those days that I am sure that hearing the words, "Let's go outside for a nature study" was music to my children's ears. 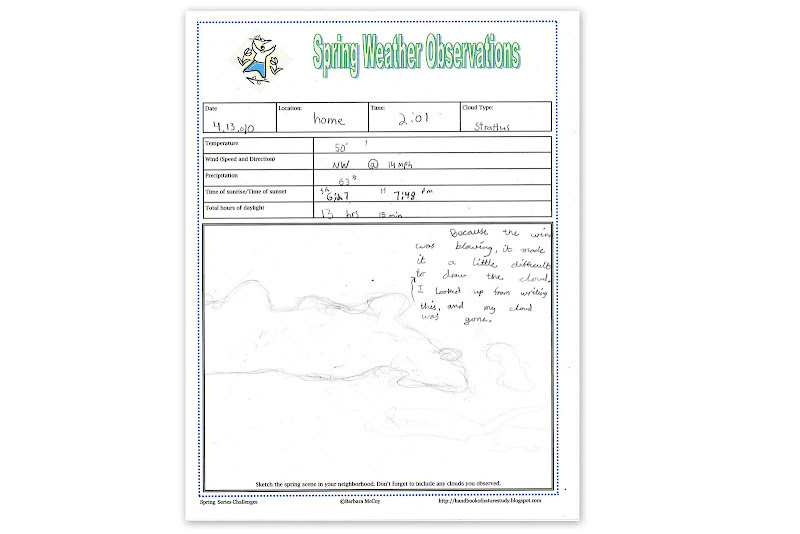 We also made observations for our Seasonal Tree Study, but we are waiting for more prominent changes to journal about it.